The layout of Google Calendar is extremely simple and a miniature version of the calendar appears in the left hand side of the screen where it displays the present month and also highlights all the recent events. The Google Calendar has multiple viewing options and you may choose to view the calendar by day, week or month or even after every 4 days. In short there are lots of ways to explore the Google Calendar. The use of this calendar as a vital tool among schools has the capability to change the way teachers, administrators, students and parents coordinate with term dates, work, exams and even exams. Appointment scheduling also becomes easier with the convenience of Google Calendar. Here we discuss few reasons why schools should use Google Calendars. 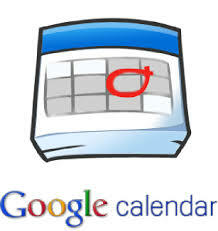 With a single Google account, a person can create multiple date events and color coded calendars. There isn’t a limit to the number of calendars you can create but there is a limit to the number than can be created at a time. Typically Google has encouraged its School Clients to use a Term dates calendar, Exams calendar and Events calendar. Teachers can create their own curricular activities with the Google Calendar. One of the handiest tricks that you can use on Google Calendar is its ability to import ready-made calendar and in most cases, these calendars are usually generic in nature. List of British holidays include every main Bank holiday and also lists dates which might be relevant to Scotland, Wales and England in combination. The biggest appeal of using Google calendar by schools is the capability to share as much as they can of a calendar. The individual calendar is more of a diary or an organiser and calendars can be set up to be personal where other’s access is prohibited. Closed calendars are for senior management and administrators where there are confidential dates are saved. Open calendars allow public sharing of calendars and those are encouraged the most. So, you can well understand the vitality of Google Calendars. Not only are they useful for schools but business organizations and individuals too. Unless you use this, you won’t be able to realize its multifarious benefits and unique features. To know more about Google’s others feature check out here.